Vanscape: it’s what you get when you view a Volkswagen van against the backdrop of some stellar scene. I think that I made this word up a few months ago when I drove my 1970 Volkswagen to Utah for a few weeks (to view the original post, click here for “Down and Out” on Landscape: Vanscape?). 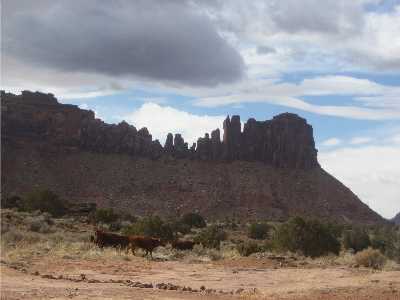 At that time, I drove the van along Utah’s super-scenic SR-128, visited a friend in Moab, camped in Arches National Park, and then camped and climbed at Indian Creek. It was a good trip, and I’m always plotting return visits. 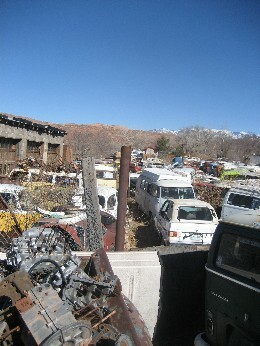 On my recent return, I took some time to catch a few photos of what I’d consider to be the ultimate Volkswagen graveyard, a place called Tom Tom’s in Moab. As far as I’ve heard, Tom Tom’s is no longer operational; you can’t just show up and barter for parts. At one time, I think that you could, but then Tom Tom evidently passed away, and people started complaining about the mess. Or what they considered a mess. So supposedly Tom Tom’s is now a museum, but as long as I’ve known about the place, I’ve never seen it open. 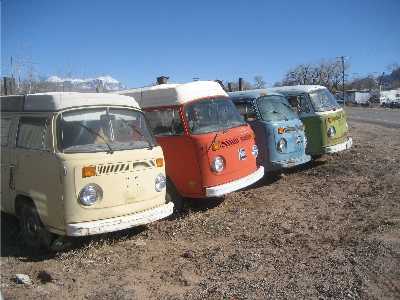 Seeing all of those broken-down vans makes a van owner like myself sort of fearful. I don’t want my van to end up like that, but at the same time, I know that most vehicles that old are on the verge of being left behind. I’ve thought about it many times—pretty much every time I hand over stacks of cash to a VW mechanic, I think about driving mine into the desert and leaving it there. Or better yet, starting it on fire and watching it burn. Tom Tom’s is a testament to the fact that other van owners think of doing the same things and that some of them do. 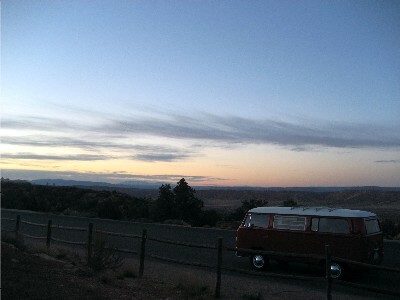 For now, I’m thankful that my Old Lady is still chugging along, as she was above in Arches at sunrise. I’m waiting for the snow to melt here in Vail before bringing her out and getting back on the road. With nearly 20 inches of new snow here last week in the Vail Valley, it’s hard to believe that spring is starting to happen out there. But a recent getaway to Moab/Indian Creek confirmed it. Yep, there are places—right now—where people are wearing flip-flops and climbing outside in the afternoon sun. 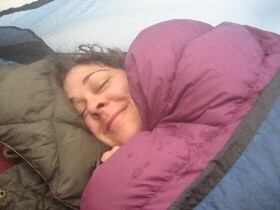 My motorcycle-diva friend Karen (waking up in tent, at right) provided the impetus for the journey. Her friend was running in a race in Moab, so we decided to rally there for some adventures. This fall, she took a three-month Pacific Northwest motorcycle trip (trying to stay on backroads as much as possible), so I trusted her in the driver’s seat for the afternoon. 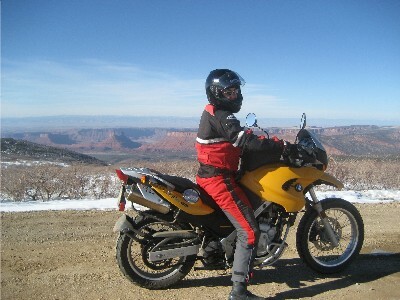 We cruised out of Moab on Spanish Valley and then headed up into the hills. There was still some snow up there, and a few places where I had to dismount so that she could navigate through patches of ice, but the view of Castle Valley from above was well worth the bits of walking that were required. Good coffee stops aside, Moab isn’t one of my favorite places in the world. But I dream about everything that surrounds it. Deep red rock canyons, crack climbing, coyote songs, and spacious desert vistas: these are the things I crave, and a night camping at the Bridger Jack Mesa gave me enough of a fix…for a little while. Of course, I’m already planning a return. The climbing the next day at Indian Creek’s Pistol Whipped was painful and as humbling as ever. I went out with two guys who seemed to float up that stuff effortlessly, as if a 5.12 finger crack were a warm-up. Struggle: I suppose that enough of it is important to keep life fresh, and climbing in the desert will probably always put me back in my place. The world is too much with us; late and soon, / Getting and spending, we lay waste our powers: / Little we see in Nature that is ours; / We have given our hearts away, a sordid boon! / The Sea that bares her bosom to the moon; / The winds that will be howling at all hours, / And are up-gathered now like sleeping flowers; / For this, for everything, we are out of tune; / It moves us not.–Great God! 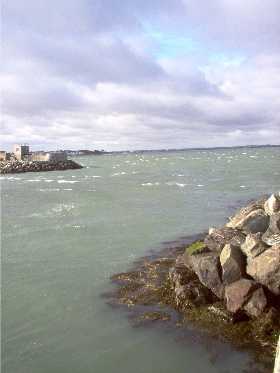 I’d rather be / A Pagan suckled in a creed outworn; / So might I, standing on this pleasant lea, / Have glimpses that would make me less forlorn; / Have sight of Proteus rising from the sea; / Or hear old Triton blow his wreathed horn. -From The Complete Poetical Works, by William Wordsworth, with an introduction by John Morley. London: Macmillan and Co., 1888. Posted online at Bartleby.com. It’s embarrassing, I know, but for some reason I like kitschy run-down motels, the kind you can find in don’t-blink towns like Hot Sulphur Springs, Colorado. 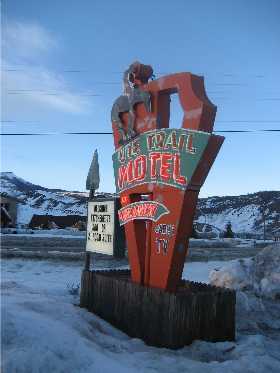 On the recent girls-only weekend, we opted to stay in this one, the Ute Trail Motel, located right off the main road through town. Merriam-Webster.com defines “kitsch” as “something that appeals to popular and lowbrow taste and is often of poor quality.” I find that definition funny; I mean, does this mean that I’ve got lowbrow taste and a penchant for things of poor quality if I’m finding something beautiful in this scene? 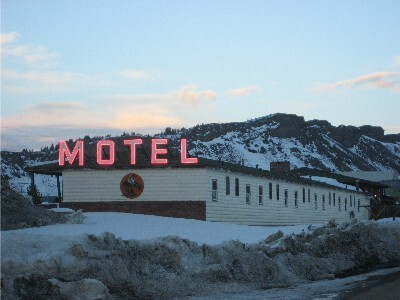 I’ll admit—and you can see from the photos—that this motel is no Four Seasons. But help me out here, folks. Anyone else out there finding something redeeming here? (If so, or not, leave me a comment and let me know what you think). 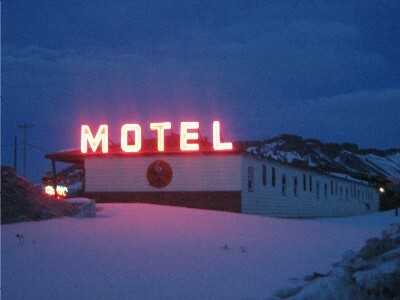 Maybe it was the sign, the cowboy riding a bucking bronco that made me love the place from the start, or maybe it was the billboard advertising that rooms with kitchenettes were only $60 a night, or maybe it was the way that the neon lights blurred into the evening sky. Yes, that’s it, the way the fluorescent pink letters melted into the mountains, and later, into a black void studded with stars. Just as I’d been itching for a little roadtrip, some of my gal pals from Boulder planned a girls-only getaway to Devil’s Thumb Ranch in Tabernash, Colorado. 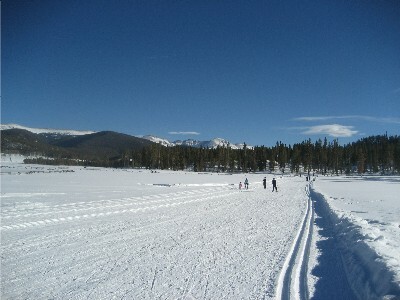 The stats: 7 women, 3 dogs, 2 hotel rooms, and a Nordic center with 125km of trails and 5,000 acres of terrain. Whoa. And to relax, an evening spent soaking it up in the naturally steamy mineral pools located nearby in Hot Sulphur Springs (aptly named, eh?). Devil’s Thumb Ranch is this amazing place that seems to be out in the middle of nowhere, a posh lodge and spa. 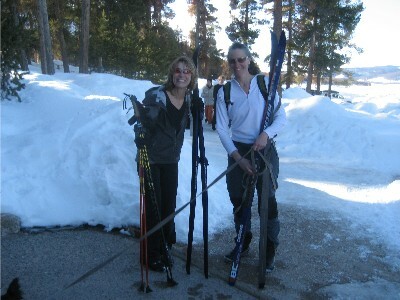 But we were there to Nordic ski, so we set out in the afternoon and had a blissfully sunny time cruising over trails that wandered through aspen groves and offered wide-open views of the mountains all around. 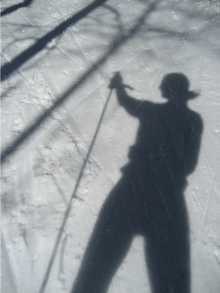 Definitely some of those I-love-Colorado moments cropped up. I’ve been having a lot of those moments lately, but it was good to share them with these sassy ladies. Over a Mexican dinner, the life-stories started coming out. One of the women had just spent six months in Guatemala and was plotting a return. Another had fixed up a crumbling cabin in Leadville. Another was getting up early the next morning to help out with a Special Olympics event at Copper Mountain. Collectively, this was a group of skiers, climbers, hikers, runners, ambitious travelers, women who did multiple sets of one-armed pull-ups and were generally doing things to Save the World (a slight exaggeration, but you see what I’m saying). The weekend’s reminders: it’s good to live fully. And it’s good to be around other people who are out there doing that, too.